Various environmental issues are related to urban activities. Through the growing recognition of the necessity to develop sustainable urban mana- ment, the University of Tokyo established the Center for Sustainable Urban Regeneration (cSUR) in July 2003. A research program at the cSUR was designed to create an integrated approach and to provide knowledge for s- tainable urban regeneration with the aid of a global network of researchers and professionals, and to coordinate the international research alliance made up of leading academic institutions worldwide. As part of the program, several studies have been conducted focusing on urban environmental problems in Asian megacities such as Tokyo, Taipei, Guangzhou, Shenzhen, and Bangkok. 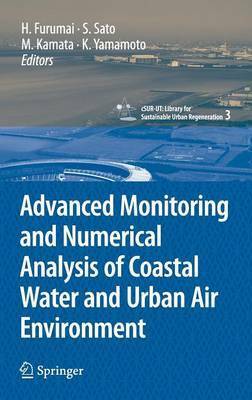 The following topics in particular were selected for integrated and strategic research supported by researchers from the fields of architecture, civil engineering, and environmental engineering: -Integrated analysis of the urban atmospheric environment and its re- tionship with control of indoor air conditions in East and Southeast Asian countries -Dynamic behavior of urban non-point pollutants in coastal envir- ments The research contains interesting intensive field-monitoring data on the coastal environment and the urban air environment. Topics also include state-of-the-art environmental monitoring and simulation analysis in urban areas. 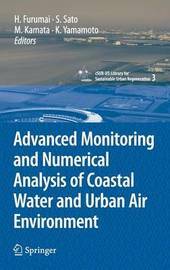 Key aspects of the research in advanced monitoring and the appli- tion of environmental numerical simulation were selected for inclusion in this book. Integrating the monitoring and modeling of urban environments is essential for engineers to identify and investigate environmental problems and their solutions.